For most people, chest pain usually means heart pain because that is where our most vital organs are found. Aside from the heart, our organs – lungs, esophagus, diaphragm, and stomach – are covered by our ribs and muscles in a tight embrace protecting them from injury and external pressure. Feeling chest pains, therefore, can signal a life-threatening condition, and its cause can be attributed to anything from heart failure to lung problems. For people without heart or lung problems, the cause of chest pain can be traced to chest wall syndrome. Interestingly, this is the most frequent cause of chest pain among primary care patients as what Swiss researchers have reported in the online journal BMC Family Practice (2007). Chest Wall Syndrome is completely harmless, and musculoskeletal in nature. A person with chest wall pain has discomfort that originates from the structures of the chest wall. The chest wall includes the skin, ribs and muscles that surround the ribs. Chest wall pain is usually caused by injury, inflammation or infection of these structures. Common causes for chest wall pain include: muscle strain, chest contusion, and costochondritis. Symptoms that may occur with chest wall pain include difficulty in breathing, cough, chest tenderness, chest swelling, and chest bruising. Treatment for chest wall pain may include rest, cold compresses, muscle relaxants, and nonsteroidal anti-inflammatory medications for pain. Other chest pains that are caused by no visible blockage in the heart include Sensitive Heart Syndrome, Syndrome X, and Atypical Chest Pain. Aside from these benign causes, chest pain may also be associated with panic disorder or other psychiatric conditions. 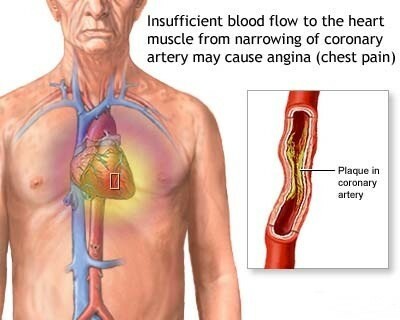 Chest pain from panic attacks are most likely caused by muscle contractions in the chest wall. The chest wall may feel sore for hours or days after a panic attack. For these cases, patients can be readily screened with a two-item questionnaire, according to the American Family Physician online journal, and easily treated with medication and relaxation techniques. Just because many patients complain of chest pains that are often harmless, it doesn’t mean we should discount chest pains altogether. So far, heart disease remains the leading cause of death in the United States. Other deadly cardiac causes of chest pain include angina (resulting from lack of blood or oxygen supply to the heart), aortic dissection (tearing of the lining of the aorta), coronary artery spasm (caused by oxygen starvation of the cardiac muscle), mitral valve prolapse (MVP), pericarditis (inflammation of the thin sac that surrounds and protects the heart), and Prinzmetals Syndrome or Graybiel’s Syndrome (often caused by coronary artery blockage). Noncardiac causes of chest pain include heartburn, pleurisy, pulmonary embolism, injured ribs or pinched nerves, espophageal spasms (swallowing disorders), shingles (caused by a virus), other lung problems, and gallbladder or pancreas problems. Many of these may not be immediately life-threatening, but they are just as deadly as heart problems when these medical conditions have progressed from bad to worse, and treatments may not be effective anymore. I wonder why my chest hurts. It hurts when I eat too much, or when I feel angry. It had hurt so much I thought I’d die when I broke up with my boyfriend. It also hurt badly when I had dry heaving coughs trying to expel as much phlegm from my lungs as I could when I had the flu. Aside from the pain in my chest, I also had difficulty breathing as if my lungs were being squeezed by a pair of iron hands. Why does my chest hurt? Why Does my PC Run so Slow? Why does my Skin Hurt?